You automatically earn 10% of the amount paid for any of our products purchased through you. 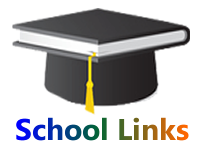 (NOTE: If package opted for is School Link , then your commission shall be 10% of payments for the first three terms totalling 30% [or 25% off front as soon as the client finalizes the contract] ). You are enjoined to get accustomed with each product through our websites or call us for guidance.